We are always interested in hearing from talented and imaginative people who are keen to join our team. If you have strong design, technical and communication skills, please do get in touch with your CV and examples of your work. Our comprehensive induction programme welcomes and integrates new staff as quickly and easily as possible. Initially working alongside a 'buddy', new recruits are introduced to other team members and our projects, systems, procedures and brand. We host a varied CPD programme giving opportunity for Architects to meet the RIBA CPD requirements as well as all staff the chance to broaden their learning. We have a self review system in place. This gives staff opportunity to discuss how things are going, voice their aspirations and plans, identify any training needs and set objectives. Each member of staff is allocated a mentor; an Associate to whom they can specifically talk to about any issues they wish. 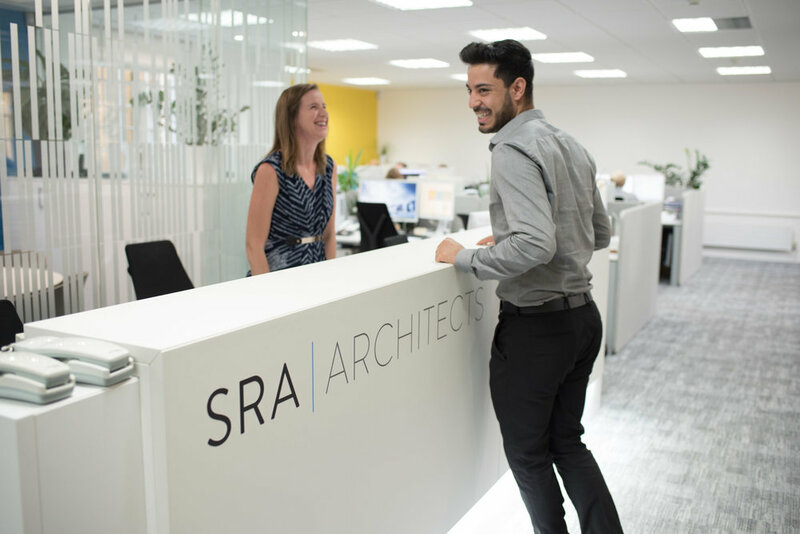 Many choose to use this informal approach to discuss how they would like their career to progress, and learn what SRA might be able to do to support them. We seek to support all who are studying towards qualifying as Architects. We have been delighted to have been able to offer students opportunity to study part-time and/or receive financial and mentoring towards study for Part 2 and Part 3.